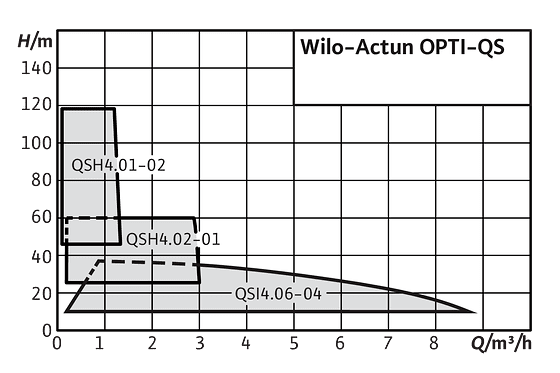 Wilo-Actun OPTI-QS | Wilo Philippines - Your local partner to serve and supply with custom-tailored solutions and products as quicky as possible. Ensuring a reliable water supply in arid and remote regions not connected to the power grid is a challenge. 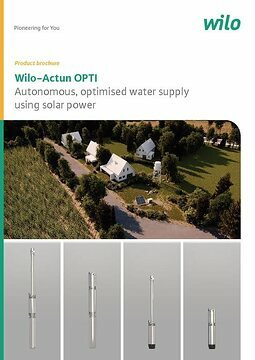 The new solar-powered Wilo-Actun OPTI-MS, provides a solution which is independent of the mains power supply for an effective and reliable water supply. 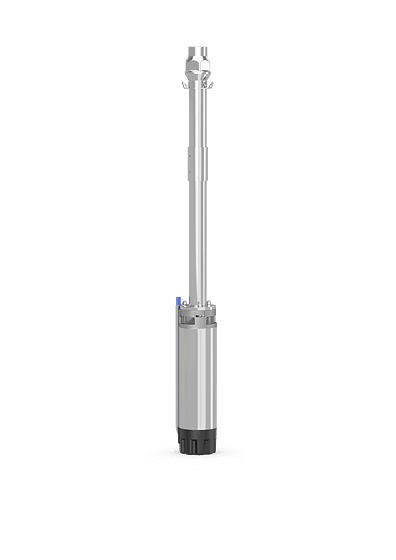 Submersible pump as centrifugal pump in sectional construction (QSI) or as progressive cavity pump (QSH) for vertical or horizontal installation. 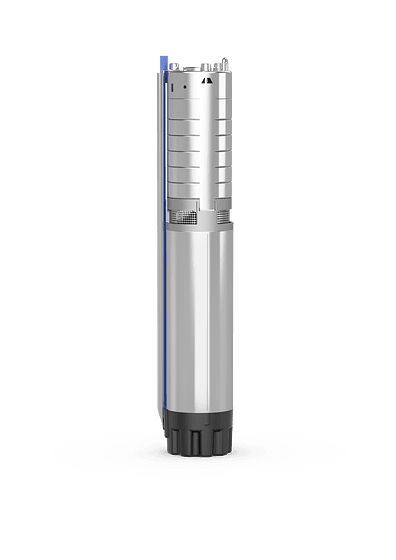 Multistage submersible motor centrifugal pump (QSI) with radial impellers in sectional construction or progressive cavity pump (QSH) with helical rotor inside a twin-helix rubber stator. Integrated non-return valve. All parts that come in contact with the fluid are made of corrosion-free materials. Single-phase current permanent magnet motor. 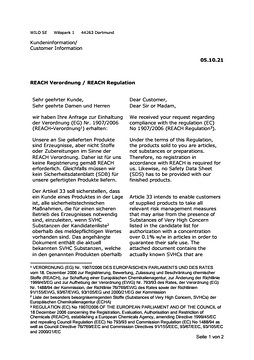 Sealed and hermetically cast motor, resin-impregnated, with enamel-insulated winding, self-lubricating bearing, with water-glycol filling. Hermetically sealed frequency converter for direct operation using direct current sources. The integrated software algorithm MPPT (“Maximum Power Point Tracking”) enables the available power to be matched in order to maximise the pumped volume flow (dynamic MPPT).